Deutsche Bank believes we are at the dawn of a new auto era with “unprecedented technological and regulatory change” set to come in the next 5 years. 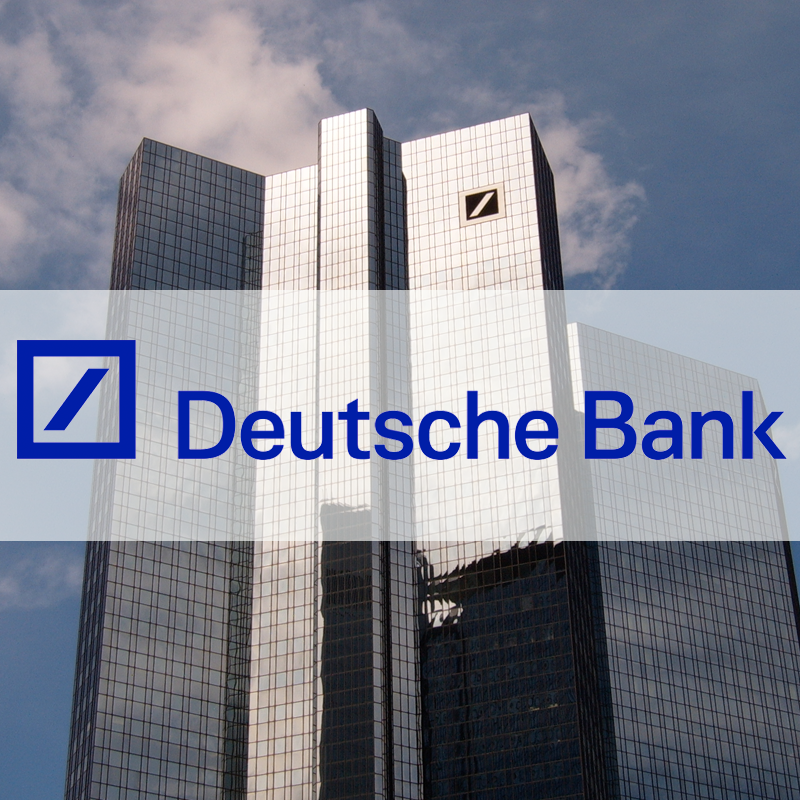 In what we believe is the most bullish independent report from such a large organisation to date, Deutsche Bank outlined that with the costs of EVs falling and conventional gas-powered vehicles increasing, the two competing forms of transport will reach parity by 2020. 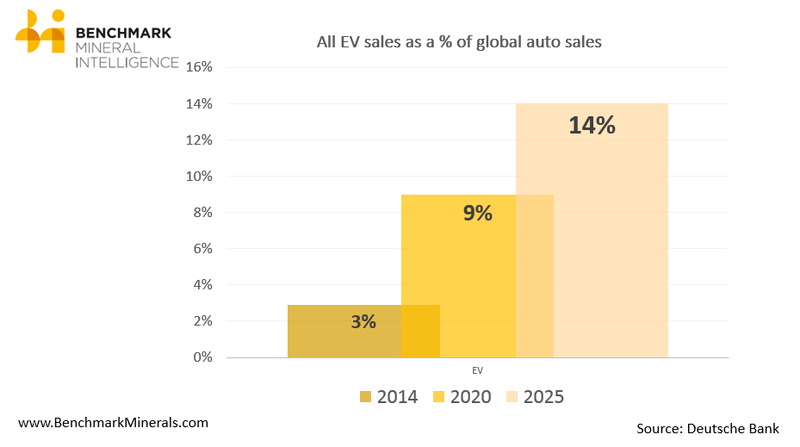 This, Deutsche Bank says, will be the economic tipping point for mass uptake of EVs. “Various forms of EV will reach cost parity with conventional diesel powertrains within the next 5 years, and parity with conventional gasoline powertrains by the early 2020s,” the financial group explained. The report has outlined strong annual EV growth of 21% from 2015 to 2020 with Deutsche Bank citing the primary driver as Tesla Motors’ planned release of the Model X and, most importantly, the Model III in 2017 – a mass market EV that will utilise lower cost batteries produced by the Gigafactory. While all EVs – hybrids, plug-in hybrids and fully electric vehicles – equated to 4% of the world’s total vehicle sales in 2014, this figure is expected to reach 9% in 2020 and 14% by 2025. With the sale of hybrids flat lining in recent times, full EVs are expected to account for the majority of sales in the next decade. Benchmark believes that the world is also on the verge of mass uptake of batteries in three major forms: transport, mobile technology (which we are already experiencing) and utility applications. The need to increase the variety of energy sources has global agreement, however the economic viability of wind and solar is always being debated. But it is one argument that can solved with the addition of batteries to store the intermittent power. Battery systems in utilities, as a result, are starting to see traction. 2014 saw Southern California Edison begin construction of a 400MW lithium-ion storage facility, with Hawaii and New York City also going ahead with similar systems (the latter with a vanadium-flow battery technology). It is interesting to note that New York City’s impetus for battery storage is from the need for security following two blackouts in under a decade. The first in 2003, which began with a downed power line in Ohio causing the grid to overload, resulted in the world’s second largest blackout in history. It was a blackout that took down the power to most of the US north-east, the country’s financial hub, the bulk of its security and emergency services in these areas, and much of its water system which is powered by electric pumps. The second blackout was in 2012 as a result of flooding and damage from Hurricane Sandy. It affected most of lower Manhattan, which also included Wall Street and the city’s prime business district. New York City believes if it has a better back-up power system, much of the blackout chaos could have been avoided. It is looking to battery systems as the solution.